edukidz library endeavours to provide students with opportunities to learn and how to utilize materials in a variety of formats. This helps to access information so that they can continue lifelong learning. edukidz library provides children to have a first-hand experience of using a library. Our library encourages the love for reading and development of student’s independent learning skills. Our library strives to make resources readily available and promote the total growth and development of the students. We offer a spacious library and resource site, stocked with an extensive selection of fiction and non- fiction books, teaching resources including maps, journals, and newspapers. edukidz school library has both printed as well as audio-visual material like CD-ROM and DVDS. 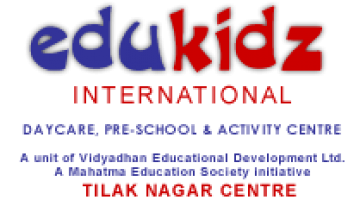 At edukidz, we have safe outdoor play area. The outdoor area is a shaded play area equipped with a variety of age appropriate outdoor equipment, exclusively designed for use by the younger children. At edukidz, we have an expansive playground that are an essential resource which helps children adopt an active lifestyle and helps in sustaining a healthy lifestyle beyond the school curriculum. The Sporting area is well constructed and maintained with the best of props and essentials, to host a variety of group and individual sports like Cricket, Kho-Kho, Basketball and Throw ball. Our school has a well-equipped and staffed medical centre. All cases of injury or illness receive immediate attention and whenever additional medical aid is required, students are rushed to the nearest Hospital or Clinic. We also have facilities like on call doctors and first-aid treatment in case of specific requirements. As technology is our central educational strategy, every classroom is enabled with DigiClass; a multimedia platform that provides e-learning content with projectors and internet facilities for all classes. Each teacher has an access to computer with the help of which she can enhance the quality of teaching and learning. With its use, the teacher enables to engage the whole class into an interactive session. Hence children understand concepts better and retain them for longer period. This adds great fun while learning. School provides all the facilities to support high quality teaching and learning in a modern and progressive way. The School provides a sense of security and consistency in the learning environment, with classrooms that are designed to be age appropriate. edukidz offers a structured learning environment which enfolds a play area, a range of toys and lots of learning items to interact with.